Home page for MacLEAN family details. Glasgow to London (c1879) - finally settled! N.B. many of these journeys were made with very small children, presumably by the new railways, which were being built in the mid 1800's. 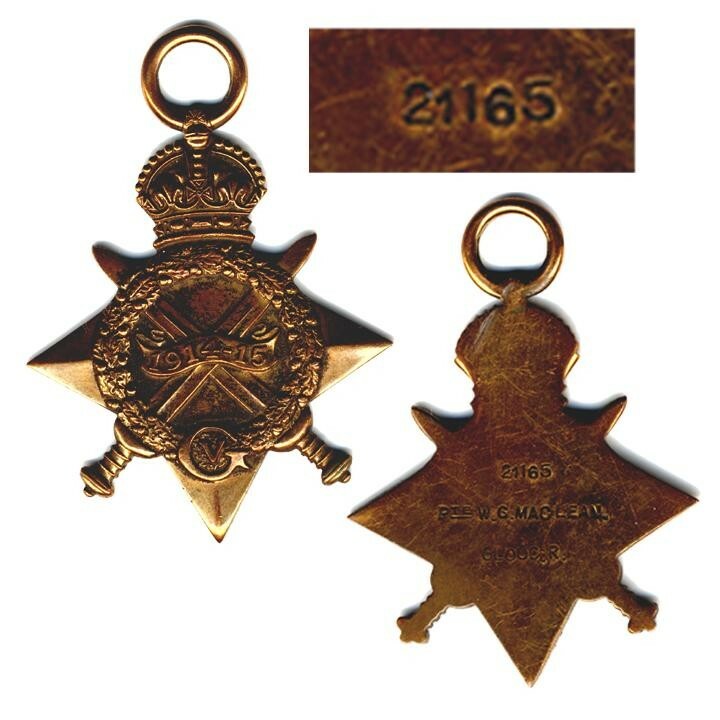 Note - change of spelling of name - all records to c1895 state "McLEAN" since then usually "MacLEAN". It is possible that grandfather William was told at school "That is how you spell your name", and assumed that his teacher was always right !. Further research on the family has stalled c1800. 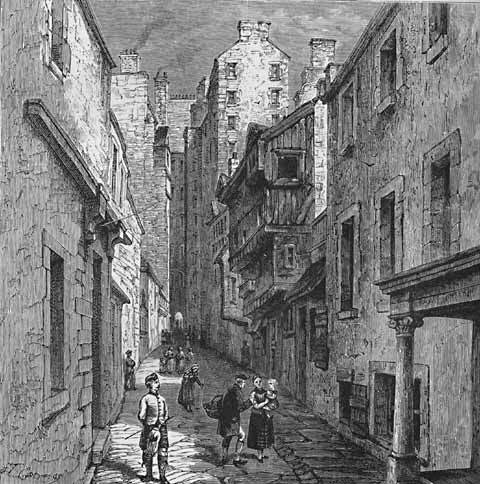 It is known that 3xgt William was born in Perth about this time, and his father was also William, a shoemaker. However there are two possible birth/ baptism records for Williams whose fathers are William, both are shoemakers. It may be impossible to deduce which entry is correct. Fleshmarket Close continues in the other direction, on the other side of Cockburn St. (which appears to have been built through the middle of the Close, and other similar streets). 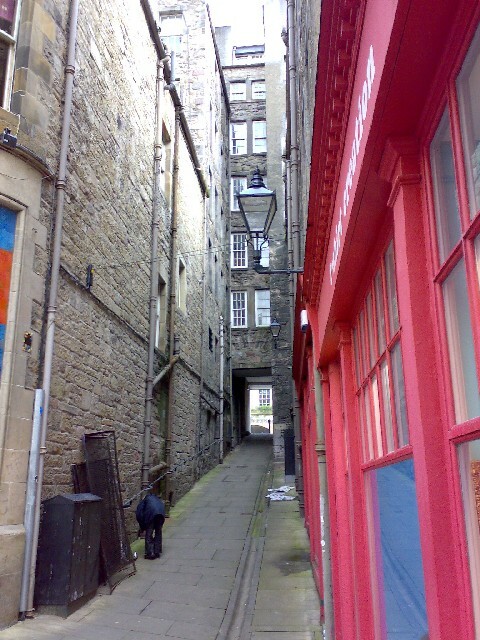 The Close leads down to Market Street adjacent to Waverley Station. View looking down towards Waverley Station from Cockburn Street and looking up from the station to Cockburn St.
2012 Entrance to Close from Market St./ Waverley Station. 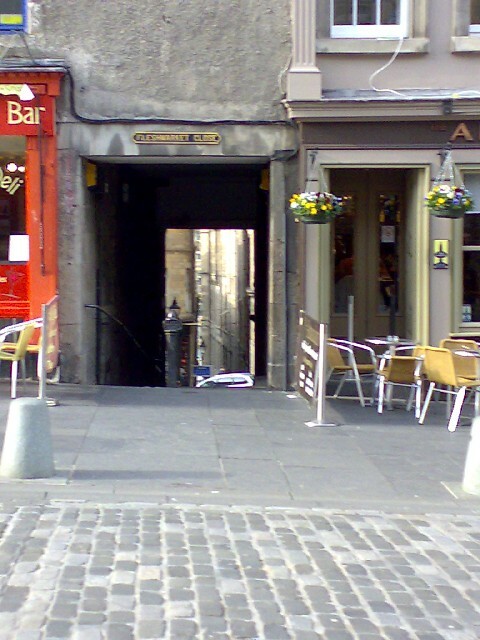 2008 Entrance from Royal Mile.